Coffees for a good cause! 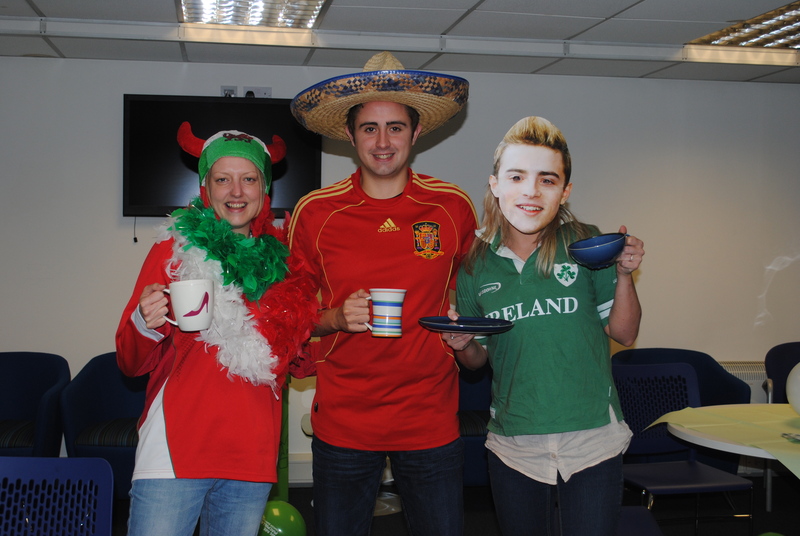 The Pharmacy team represent their nationalities while having a nice cup of tea for an excellent cause! On September 28th, New Directions Ltd joined in with Macmillan’s world’s biggest coffee morning to help improve the lives of people affected by cancer across the UK. Cancer is the toughest fight most of us will ever face. Macmillan is there to make sure no one has to go through it alone. There was an overwhelming selection of cakes bought in by the staff to sell at our coffee morning. The coffee morning was a resounding success and raised a lot of money for this fantastic charity.